EIFS are used for insulating and waterproofing buildings. 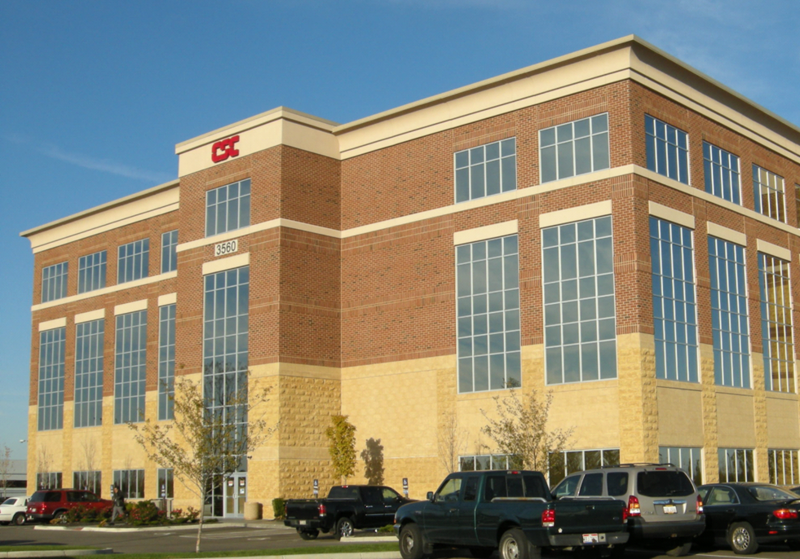 The new building codes call for Continuous Insulation, which EIFS is perfectly designed to accomplish. It is like putting your building in a Styrofoam cooler. It protects from thermal loss, thermal damage to the structure, and mold and mildew issues. 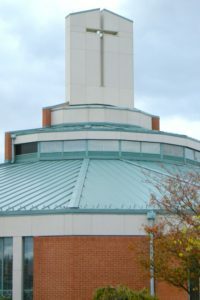 Exterior finishes serve several functions. Their primary purpose is to keep the elements from deteriorating the living space. Finishes are the first line of defense in protecting the underlying structure from rain, wind, cold, heat, sunlight, insects and vermin. Stucco (also known as cement plaster) has been serving that purpose for hundreds of years. Full coat interior plaster begins with a base. A hundred years ago it was wood lath, brick, or clay tile. Thirty years ago it might have been rock lath (a 3/8” x 16” x 48” sheet that looks a little like drywall), metal lath, block or tile. Today it is mostly metal lath or 1/2”- 5/8” gypsum base (also called blue board), similar to drywall but with a special type of paper to ensure a good bond. Next a scratch coat (made of gypsum plaster and sand) “keys” into the base and stiffens it for the subsequent coats. It is very rough so that the next coat can get a good bond. After curing for several days, the brown coat (consisting of gypsum plaster and sand) is applied. If thicker plaster is desired, it can be left to “set” (harden) then “double back” and put another coat of the same material over top of it to the desired thickness. The brown coat is also left rough, although not as rough as the scratch coat. The finish coat is then applied to a thickness between 1/16”- 1/8”. The finish usually consists of lime mixed with an accelerant to make it set faster. 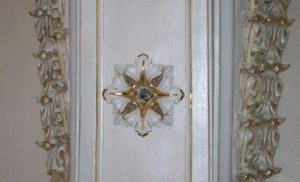 The finish can be perfectly smooth (often referred to white coat), or textured. Sand may also be added for further variety. Full coat plaster gives the most effective acoustic resistance and fire resistance. When vandals set fire to a Dayton apartment stairway, the owner attributed the full coat plaster with not only minimizing damage to the property, but possibly saving the lives of those asleep on the upper floor. Veneer plaster is a variation of full coat plaster that has a similar appearance at about two thirds the cost. It also helps eliminate nail-pops and ripples typical of drywall and has slightly better acoustic resistance. A thin base coat and finish (totaling 1/8”- 3/16”) is applied over a gypsum base. The materials are premixed and easier to use than traditional plasters. Textures and decorative elements can be applied to veneer just as they are to full coat plaster. Decorative elements, such as medallions, panel molding or cornice work, are applied to the finish coat to create a seamless, unified application. Ornamental design brings art into your home or office. There are endless design possibilities to enhance the feel of your room. Call 937.233.7621 or email orenplastering@oren-usa.com to learn more. Prefabricated panels have significant advantages when it comes to avoiding external circumstances that would otherwise interfere with plaster work. 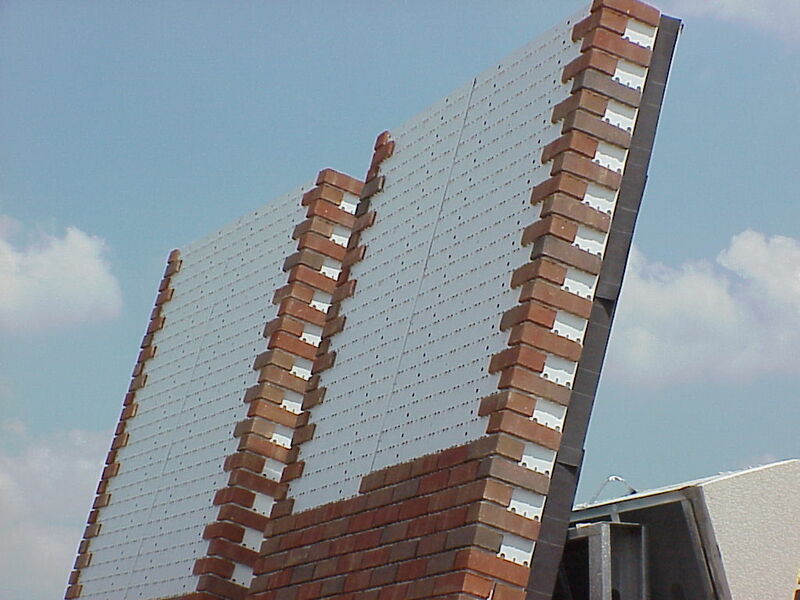 Panels are designed in shop conditions where poor weather conditions are not an issue. This also allows for a more controlled environment to meet critical tolerances. 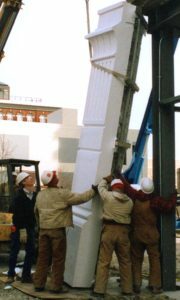 Congestion on the job site does not pose a problem either when plaster crafters are not competing with laborers of various trades for time and work space. 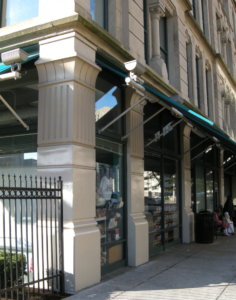 Cosmetic trim can be applied in the shop and independent of other trades. These factors also help to speed up the process so that a project takes days rather than weeks. It is also beneficial that Oren Plastering has experience with many different materials. For ideas on how your next project may benefit from pre-panelization, contact Ken Oren or Carol Oren at 937.233.7621. The prefabricated panels featured were designed by Jeff Wray and fabricated by Oren for the Dayton RTA at the Wright Stop Plaza in Dayton, Ohio. 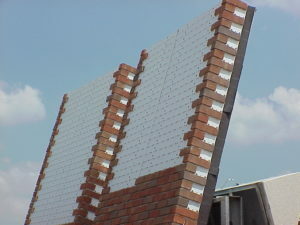 Foam-only prefabricated panels are popular because of the versatility of their shape and size. 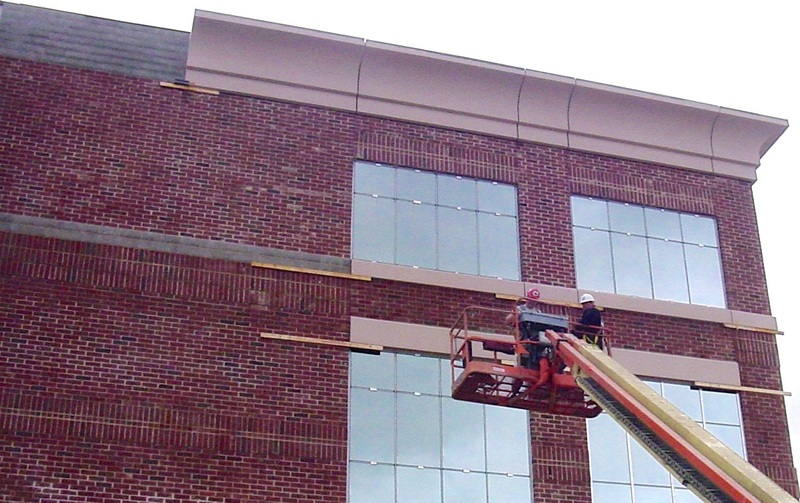 These types of panels are often used to design Exterior Insulation and Finish Systems (EIFS). 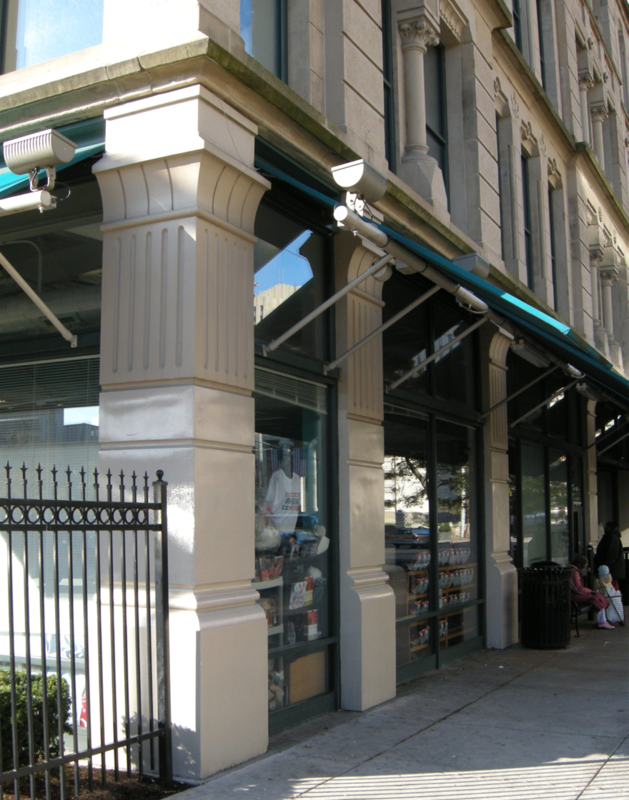 Large decorative elements can be added to a building without increasing the footing or other structural elements. 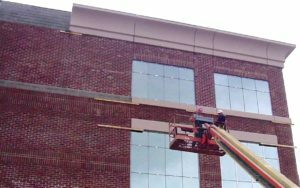 In addition, the installation of pre-finished panels reduces the possibility of dropping materials on lower areas of brick or glass. One of the great advantages of this method is Oren’s ability to maintain dimensions. Panels can be constructed in smaller, more manageable sections that can be fit together upon installation to form one smooth, cohesive design. In order to take advantage of prefabrication, however, the site tolerances are vital. 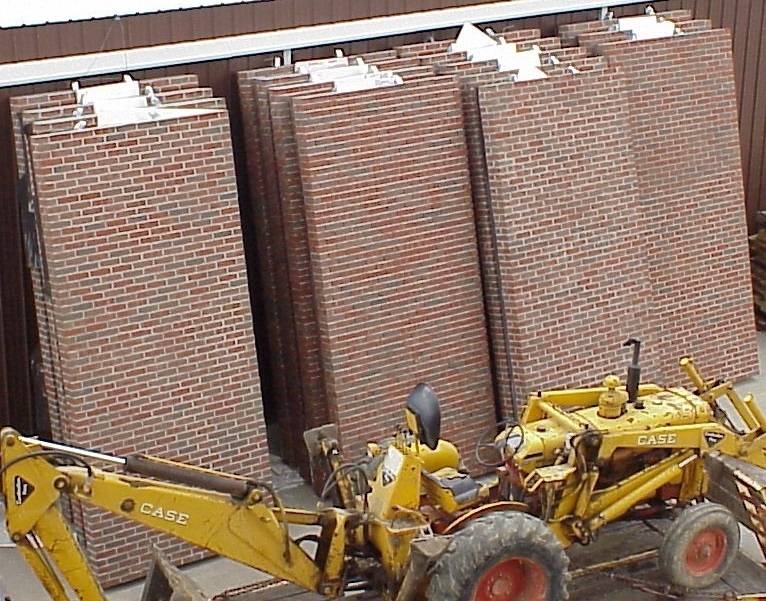 Masonry walls must be in place before decorative elements are installed. This can cause havoc with the schedule because, by that time, there are a lot of things to be done at once. Oren Plastering organized a solution to such a challenge. 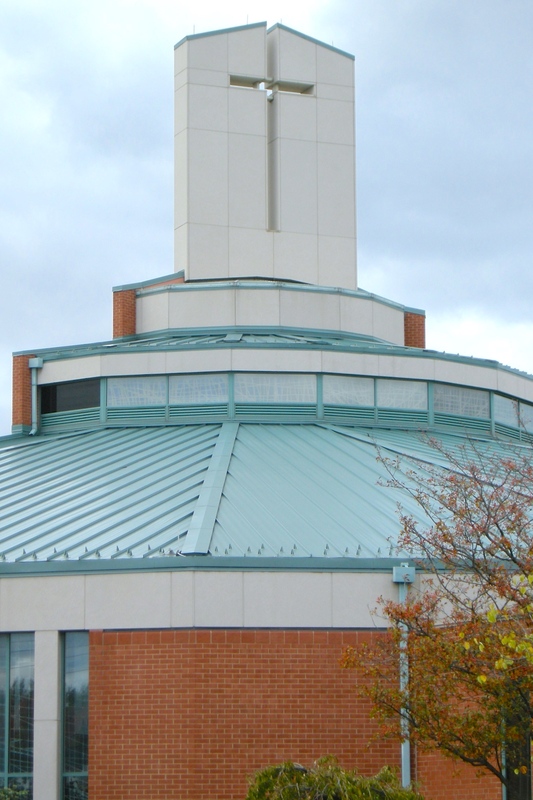 The decorative elements are assembled and pre-finished in shop and installed using lifts. 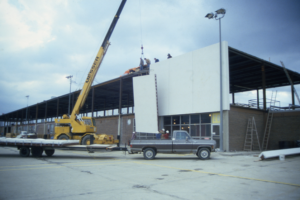 As an added bonus, prefabricated panels are able to be moved and reused. Such was the case during an expansion to the Dayton Airport when Emery Freight moved in and needed more room. 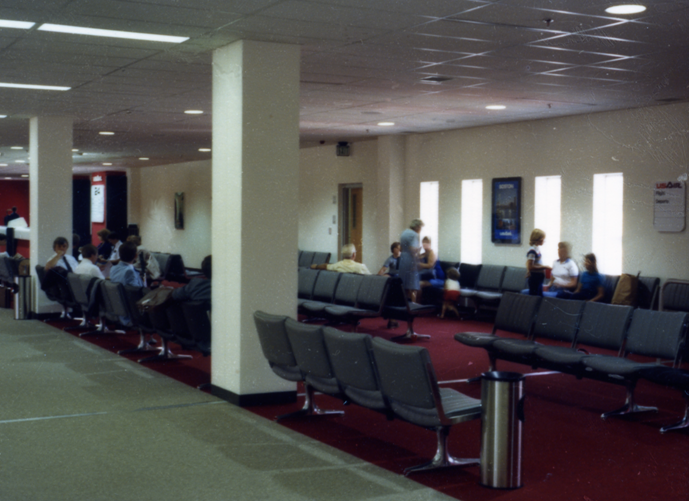 In 1982, Oren had crafted an agreement with Piedmont Airlines to establish a new hub (the same area Emery Freights would later move into.) They were in a hurry and prefabrication was the only way to complete the project on time. 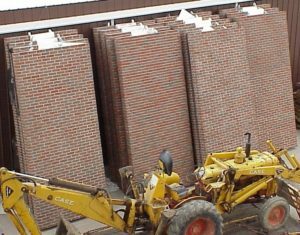 Dryvit, a relatively new product at the time, was chosen because of its outstanding insulating value and adaptability to prefabrication. In spite of delays caused by days of heavy wind, the project was finished under budget and ahead of schedule! 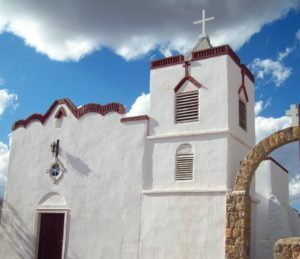 Almost 20 years later, several of the original panels were removed, additional steel was erected, and the same panels were reinstalled along with some new ones. This gave Emery Freight the additional space they required. 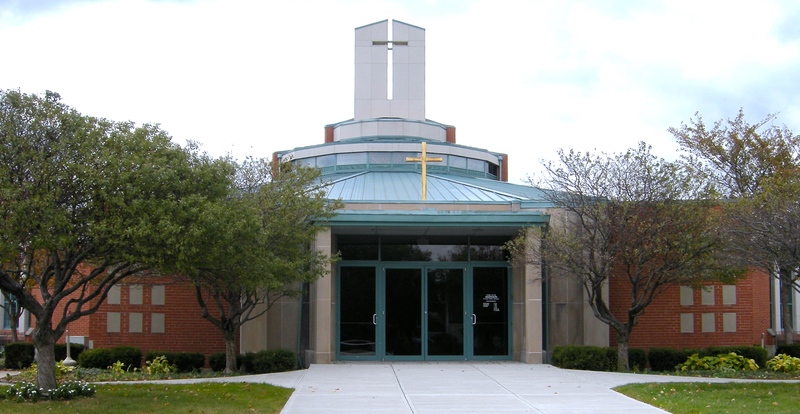 Another example of a prefabricated panel system is the limestone panel system installed to protect and adorn Church of Ascension on Woodman Drive.